Diversity Recruitment Strategy Guides - Workplace Diversity: What, Why, and How? Campus Recruiting Strategy: Why Yours Should Be Mobile-First? Why Should a Recruiter Think Like a Marketer? Where Are College Students Looking For Jobs, and How Can Employers Meet Them There? What do students want from a career fair? How Can Employers Help Students Develop Professional Skills for the Workplace? Are university recruiters too traditional for Millennials? Score yourself! The hiring process today is a minefield of laws, regulations and ever-changing legal challenges. Failing to comply can have a wide range of consequences; none of them desirable, and many very expensive. This is why employers need their recruiting and hiring vendors to help protect, rather than expose, them. A common practice like accepting paper resumes at career fairs and offline recruiting events seem to be straightforward and simple in the past suddenly becomes questionable for many employers, especially those who fall under the scrutiny of OFCCP (Office of Federal Contract Compliance Programs). A survey by Direct Employers Association, an employer-driven association focusing on talent acquisition and inclusion, shows that about one third of employers do not accept paper resumes at career fairs and events due to concern about the OFCCP recordkeeping requirements and the cost/ hassle of scanning these resumes into their companies’ Applicant Tracking System. Most employers, whether accepting paper resumes or not, try to push all who come to the event to apply online to be considered, and only use the contact information on the resumes to follow up with all candidates or match their application as being from the career fair for accurate source tracking. The individual, at no point in the contractor’s selection process prior to receiving an offer of employment from the contractor, removed himself or herself from further consideration or otherwise indicated that he/she was no longer interested in the position. Keep in mind an internet applicant must satisfy all four of the criteria. The real key in the definition as provided by the U.S. DOL above is “particular position” meaning that the candidate must express interest for a single job opening. From a compliance standpoint, accepting resumes at career fairs is absolutely encouraged by the Department of Labor. 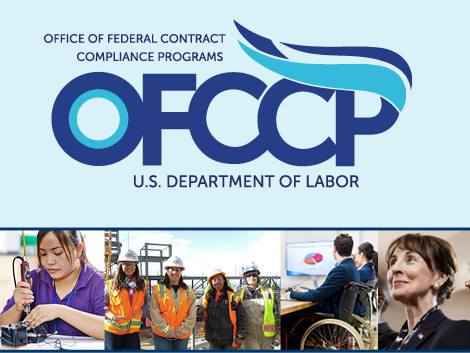 In fact, the OFCCP clearly states on their website that 1) accepting resumes is acceptable, and 2) resumes do not have to be retained so long as prospects are NOT considered for a single position AND are directed back to the career website to apply. In other words, consistency in process execution is key here. If a contractor has a policy of recruiting candidates to apply on online, all jobseekers, including those at job fairs, should be instructed to apply online. Establishing this protocol will prevent the OFCCP from interpreting the situation as one where an individual’s credentials are considered at the job fair which could make the individual an “applicant” falling under the applicant recordkeeping requirements. If the Internet Applicant recordkeeping standards apply to hiring for a particular position and the contractor receives paper resumes for the position from job seekers at a career or job fair, does the contractor need to retain the paper resumes received? The contractor needs to retain resumes only if it considers resumes received at the job fair for a particular position. The contractor need not retain any resumes if its consistently applied practice is not to consider paper resumes received at a career or job fair. For example, the contractor would not need to retain paper resumes offered at a job fair if it does not consider them and instructs all job seekers to post their resumes on the contractor’s web site and/or apply for particular positions on the web site. The contractor should take care to apply such a protocol in a uniform and consistent fashion. It is the contractor’s actual practice that determines whether the contractor has considered a resume. For example, if a contractor’s policy is to accept resumes only through its website, but its actual practice is to consider resumes received at a career or job fair as well, the contractor will be expected to retain both the resumes collected at job fairs as well as those submitted through the contractor’s website. Must a contractor retain resumes when the contractor’s representative meets with students on campus recruiting trips to discuss general jobs for which a student may be qualified if the contractor advises all students they must apply through the contractor’s web site to be considered for a particular position? A contractor must retain resumes for any job seeker it considered for a particular position. If a contractor’s representative meets with students to generally discuss the types of positions available with the contractor and advises all students that job seekers must apply through the contractor’s web site to be considered for particular positions, then the contractor is not considering the students for a particular position during the college recruiting visit and their resumes need not be retained. The contractor should take care to apply such a protocol in a uniform and consistent manner. It is the contractor’s actual practice that determines whether a contractor has considered a resume. 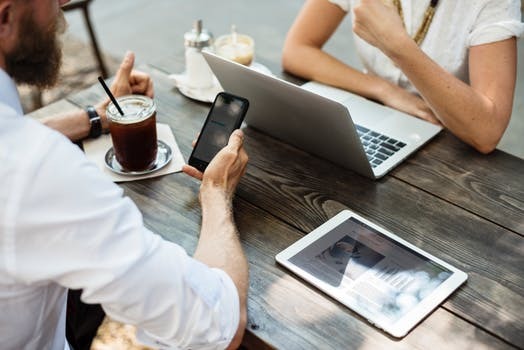 Depending on whether your resumes are solicited or unsolicited, they will need to be retained anywhere from a week to three or even many years. This “cheat sheet” courtesy of G.Neil will help you more on this topic. At Rakuna, we allow companies to retain their data until there is an official request to remove these data from our system, so companies can retain necessary information for as long they need. One of the many advantages of sending your staff to career fairs is the insights they can collect on each prospect they met with. Right now, the most effective strategy for most companies to capture recruiter’s comments and thoughts on each candidate is to utilize preprinted “Post-It” notes containing only check boxes with approved and job related verbiage, or some standardized evaluation form prepared by your recruiting team, to create a more consistent and thereby defensible candidate evaluation process. With Rakuna’s campus & event recruiting solution, your recruiting team will have the same ability to create customized evaluation form to reflect your company’s proprietary campus recruiting process and ensure a standardized candidate assessment across your company representatives and recruiters. If you do not use a technology solution like Rakuna, you will want to have a “system” to stay organized. Something like having three folders – a green for “yes”, a yellow for “maybe”, or a red for “no”. This color scheme is easy to be understood by anyone, even those who were “pulled from the field” in the last minute to join recruiters at career fairs or recruiting events. Ultimately, the key is to have a well-thought-out system that is thoroughly documented, consistently applied, and easily executed by one tasked with going to a career fair. Even with all these tips for accepting paper resumes, the undeniable “elephant in the room” question is – Why are you still taking paper? An integrated solution designed with recruiters in mind like Rakuna can redefine the whole experiences for recruiters and candidates from career fairs and recruiting events. Not only can we create a seamless and paperless workflow, we can help you to 100% complied with federal record retention guideline, allow easy collaboration among your hiring managers and recruiting team members, and provide insightful metric reporting for your talent acquisition leaders. Rakuna’s messaging feature allows employers to set up customized email templates to be sent out to all prospects met at each career fairs and events. This allows companies an easy way to follow up and instruct all their prospects to apply on the companies’ career sites for specific opening positions to be officially considered as an applicant, or join the companies’ talent networks for information on new openings that might match their qualifications in the future. Rakuna is the campus recruiting platform redefining how top employers recruit young people. The Rakuna Platform includes Rakuna Recruit, the simplest mobile app for recruiting events, and Rakuna Recruit Dashboard, the candidate relationship management dashboard for campus recruiting. We are how companies hire millennials. To learn more, contact sales@rakuna.co. For more tips and tricks on campus recruiting and millennial recruiting, visit our blog at www.rakuna.co/blog, subscribe to “In & Outs of Recruiting Millennials” vid-cast, and join the conversation on our LinkedIn Group. 05 types of hiring needs and their effects on recruiter's buying decision. 10 must-have features for your campus recruiting software. Detailed comparison of 8 college recruitment software on the market.